Let's do a little life update on this post while I explain why I am not blogging these days. I still love blogging, don't get me wrong. I have a lot of new ideas that I want to do on this blog and many other stuff that I need to finish doing. If you follow me on Instagram, you would know that I did mention briefly why I didn't have time to follow my blog schedule. I have a all-weekday-blogpost which is like 5 blog posts per week. It takes quite a while to photograph and write blog posts for that. With my blog schedule, I was also full-time studying Japanese and taking exams for that (JLPT) during the time so I chose studying over my hobbies every single time. I am currently at Advanced Japanese (JLPT N2 level) and it cause me to study a lot harder than what I used to during my basics. Bare in mind that I started studying Japanese in March and it has only been 4 months for me to reach to Advanced class (note: even if you study full-time will not reach Advanced level within 4 months. I have skipped some levels and some I had super intensive courses that didn't happen most of the time so, the rate that I was going was unusual. You have to practice and remember a lot of vocabulary and grammar patterns while using the hiragana, katakana characters as well as kanji for the most part to reach to Advanced class.) I will talk more about my Japanese learning stuff in another blog post entirely. Another point that was taking my time was the JLPT (Japanese Language Proficiency Test), I took part in the exam so I definitely had to study for the exam. Well, I cannot tell the results yet since they have not released yet so I will update on my Instagram when I know the results. Another thing is, I have planned to go back to my home country (Myanmar) by end of August. So, I have been packing, culling down my possessions (which is kinda failing). If you do not know, I am living in Singapore under student visa and it is going to expire soon so I am going back to take my advanced Japanese exams and start working. So, if you ask what I am doing currently, I am taking JLPT preparation course for JLPT N2 (second hardest exam out of JLPT) part time and I am packing while resting at home. I also have been reading a lot more and there is one thing that caught my interest these days which is gaming. I have been back to gaming whenever I have free time so other than studying, packing and reading, gaming has taken most of my free time. 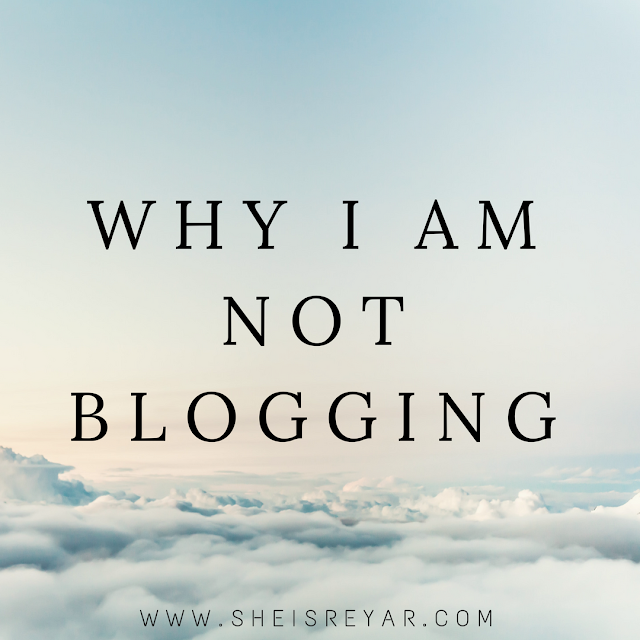 So, these are the reasons why I have not been blogging these days. Please comment below to make me find some time to blog as well as please give me some ideas for new and interesting blog posts that I should make. On a completely side note, this blogpost marks my 300 blog posts on my blog! I couldn't believe that I have been writing for so long. I will definitely continue this hobby and share what I love and what I am obsessed whether it might be skincare or makeup.